GenNext is adding a unique new awards program to the heavy-duty independent aftermarket with its 4 Under 40 Awards. The new award program is geared around recognizing younger individuals for their outstanding commitment to the aftermarket industry. All industry professionals are welcome to nominate someone for a 4 Under 40 award, and self-nominations are accepted and encouraged. Distributor, supplier, marketing group, media and association management employees are eligible for the award. GenNext’s goal with these awards are to honor men and women who are demonstrating involvement, innovation and commitment within the aftermarket. The four young professionals chosen from the list of nominees will represent the best of our industry, and will be honored at the Commercial Vehicle Solutions Network (CVSN) Aftermarket Distribution Summit in September in Braselton, Ga. Under the age of 40 (as of Sept. 1, 2018). Currently employed within the heavy-duty aftermarket industry. Strives to propel the industry forward through involvement and innovation. For more information, and to nominate someone for this year’s award, please select the 4 Under 40 tab on the GenNext website. 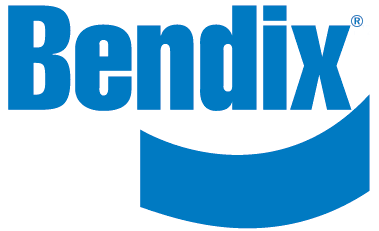 Incorporated in 1930, Bendix Commercial Vehicle Systems LLC (Bendix) has long been an industry pioneer and innovator in commercial vehicle active safety technologies, energy management solutions, and air brake charging and control systems. We have been headquartered in Elyria, Ohio since 1941. In 2002 the company became wholly owned by the Knorr-Bremse Group, the world’s preeminent manufacturer of braking systems and supplier of additional sub-systems for rail and commercial vehicles, with 28,000 employees and sales totaling over EUR 6 billion in 2017. In 2004 Bendix and Dana Commercial Vehicle Products, LLC formed a joint venture known as Bendix Spicer Foundation Brake LLC (BSFB), combining and expanding the complementary wheel-end foundation brake technologies of two global leaders. Our 3,200 employees are proud of our reputation as experts in air brake systems and leading-edge safety technologies in North America. Our focus on research & development, along with strategic growth opportunities over the decades, have helped us remain a high performing, strong, and steady business for today and tomorrow. What makes Bendix a great place to work? We are united under a strong set of corporate values. We believe in giving back to the communities in which we do business, and we pride ourselves on a workplace rich in collaboration, integrity, responsibility and respect. Our 3,200 employees across North America take part in an agenda of personal and professional development plus enjoy a vibrant culture of health and wellness that allows them and their families to participate in education and activities that support healthy living and healthy lifestyles. Maintaining a dynamic mix of generations across our workforce is essential. The opportunity to learn and interact with each other helps foster an environment of expertise and energy. We use a range of traditional and contemporary tools — from on-site employment events to integrating social media — as part of our ongoing recruitment program across North America. We incorporate engagement in employee resource groups, like our Women in Bendix, as well as multi-year Development Programs within key business areas to offer employees the opportunity to advance personally and professionally. Does Bendix feel it is in the position to change with the times? If so how? Being a strong and steady business for nearly 90 years requires us to remain agile, intelligent, dynamic, and strategic. That means always evaluating and enhancing how we do business, as well as proactively introducing the skills and enabling the mindsets into our organization necessary to build for the future. Our customer focus is our guiding light. 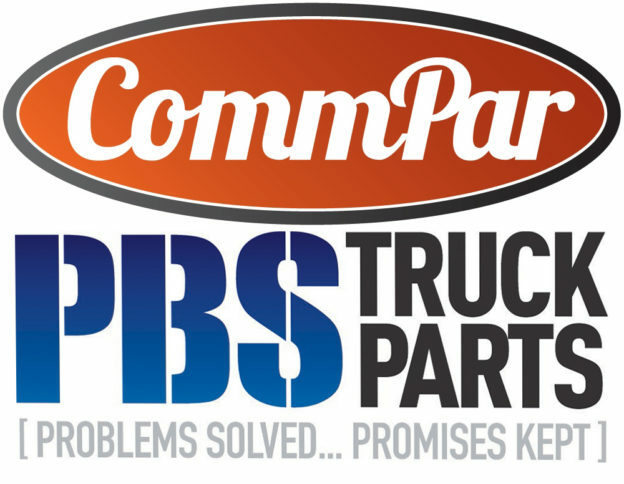 We are dedicated to delivering products and integrated solutions — or safety, for trailers, for powertrain, for air bakes, and more — that address the customer needs of today and help proactively prepare them for a stronger tomorrow. The customer — across every aspect of our industry — always has a seat at our table, no matter the setting. Bendix supplies active safety, air management, and braking system technologies to the commercial vehicle market. What separates Bendix from competitors in its marketplace? Bendix has a variety of competitors in the marketplace, of all shapes and sizes. I believe that Bendix stands out from the pack because of our ability to innovate and provide products which solve customer issues and provide real payback opportunities. This product excellence, coupled with the basket of aftersales support elements we bring to the market to support our distributor, dealer, and end-user customers allows Bendix to remain a strong supplier within the industry. I believe our customers see us as a reliable supplier and a key partner. I also sense that Bendix is perceived as a strong brand with a proven reputation for delivering high-quality, technology-leading products. Our aftermarket customers historically have been quite loyal to our business. I attribute this loyalty to a variety of factors, including our continued presence as a leading supplier in the vehicle OEM market; our ability to deliver high-quality, reliable parts; and our willingness to support our products after the sale. People generally stick with what works, and in this sense, I would attribute the loyalty we’ve seen to the fact that the relationship they have with Bendix is working for them. Bendix and its parent company Knorr-Bremse are the world’s largest air brake and safety system supplier for commercial vehicles. In addition, Knorr-Bremse is a leader in rail systems, so as long as freight continues to move over the rails or road, Knorr-Bremse is going to be there to support it. I am a firm believer in taking the reins of your career from the beginning. Set your sights high and work like crazy to reach those targets. Don’t expect someone else to make opportunities for you. Ask for constructive feedback from sources you can trust and be accountable to yourself for making improvements. I started my career calling on fleets, and I learned a great deal about end users during that time. This shaped my perspective on every future position I’ve had, as I’ve learned that when it comes to understanding the customer, there’s really no substitute for being there with them in their operation, seeing firsthand how they manage their business, and taking note where we (as a supplier) can add value. Although my background is in sales and marketing, I took a role 12 years ago in product management. This was a major learning curve and out of my comfort zone, but it allowed me to learn an incredible amount about all other aspects of managing a business – finance, operations, supply chain, purchasing, product development, and human resources. I really enjoy being in sales again, but experiencing the role inside the business was critical for my professional development. A third pivotal career moment was being part of a Strategic Leadership Program at Bendix in 2011. It was a cross-functional group of individuals from across the Knorr-Bremse North American businesses that offered a small group-based capstone course to address specific business projects. The group in which I was a part was brought together to deeply evaluate our aftermarket business. We made recommendations to the leadership at the time that continue to shape how we do things, which is rewarding. On a personal level, though, this allowed me insight into all operational elements of our aftermarket business which sticks with me to this day. Absolutely! There are too many to name. That said, I think that early in one’s professional career, it’s good to develop mentoring relationships with trusted colleagues and leaders. When you’re trying to maneuver the waters of a career, a mentor can help you navigate. They’ve been through their own experiences and can likely relate to your opportunities. In this way, you get the benefit of their perspective. I would add that some of the best mentors I have come in contact with in our industry have been our customers. I have found that if you listen carefully to them, you can chart the course forward not only with respect to your career, but also to ways for building stronger, more meaningful business relationships that will allow you to bring more expertise to your organization. Founded in 1952. Started as a small shop that rebuilt power brake boosters. Shortly after founding, added spring shop to the list of services. The business was purchased by my father in 1973. Began expanding into a broader base of parts sales and drive in service. I joined in 1984 after three years in public accounting. Continued expanding product lines and began to build new stores. My father retired in 1989 after he was diagnosed with cancer. We joined VIPAR Heavy Duty in 1991. Continued to expand into a full line distributor of premium brands. By 2003, four locations in South Bend, Elkhart, Gary and Rochester, Ind. In 2012, opened a second company (CommPar, LLC) in Sterling Heights, Mich. Opened a second store in 2015 in Romulus, Mich.
We are a distributor of premium brands. A full-line distributor. Everything except the actual cab, windows and engines. Vendors include: Accuride, Baldwin, Bendix, Borg Warner, Donaldson, Eaton, Exide, Firestone, Goodyear, Haldex, etc. Our customer base is strictly government and commercial. While we have some very large customers, our primary customers are small- to medium-sized companies. WE CARE. Unfortunately, there are very few places you go that you get the genuine feeling that the people serving you care and have your best interest in mind. We have a strong relationship with our loyal customers and we are loyal to them. This is one of our core values. Relationships still matter. Our current team has been with the company an average of 8.5 years. This includes drivers and warehouse personnel. Our customer service and sales team averages 11 years with us. We are family. We treat each other as we want to be treated. Core Values: We are Fair; We Care; We are Respectful; We are Loyal; We are Humble; We are Optimistic. It is essential to our survival and fundamental to our success. Yes. The real key is that the necessary technology is now within our reach. As long as we get good at technology before the disrupters get good at truck parts, we will succeed and thrive. And we are aggressively getting better with technology. Start at the bottom and gain an understanding of fundamentals of the business. It is far better to climb the mountain from the warehouse up then to have a helicopter place you at the top. This will help prevent big decision mistakes when it really matters, when you are managing people and processes. Exposure. The real benefit of GenNext is exposing the people new to our industry to the veterans of our industry. Both types of participants win. Growing up doing every single job in the company from relining brake shoes and making leaf springs, driver, counter sales, etc., to sales management, accounting/finance management, purchasing, etc. The more you know about what each job requires the better prepared you are to establish expectations and evaluate those reporting to you. The day my father quit. I was 29. My father went from uninformed, out of date old guy to a wise sage in a very short period of time. Somehow, we (the company and I) survived my ignorance and naivety. The Crash of 2008/2009. Lesson: In times of crisis, hold on to your principles and core values. If you can, you will be rewarded well beyond any expectations. Yes. Elmer Bauer – I watched him sacrifice for the good of the whole on several occasions. He was a man of service and was always well grounded and humble. Harvey Peterson – On a daily basis, he demonstrated creativity, innovation and a willingness to change. He also is a man of service and principle. Both of these men left the industry better than they found it. And, both of these men were very sincere when they asked you how are you doing? They would always follow a question like that with deeper and more probing questions that made you know they cared. This September’s Commercial Vehicle Solutions Network (CVSN) Aftermarket Distribution Summit in Braselton, Ga., will be the first since GenNext merged with the association. GenNext announce the inaugural recipients of its 4 Under 40 Awards at the Opening General Session on Monday, Sept. 10, and will also have a networking reception at 5:30 p.m. that day. GenNext also will have representation at the VIPAR Heavy Duty Annual Business Conference in October in Florida. GenNext has held speed mentoring sessions at previous VIPAR Heavy Duty events, and most recently held a mentoring session at the HDA Truck Pride Annual Meeting in April in San Diego.